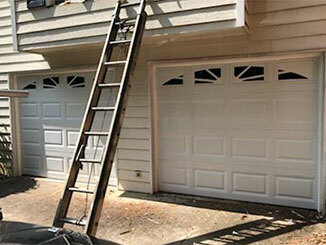 Wear and tear is something that every garage door system, automatic or manual, suffers from. The nature of this type of complex mechanism is to have some parts break down every so often. But that's not something that you can't control. With the right maintenance routine, you'll be able to reduce the accidents, increase the working efficiency of your door and save money on costly repairs. There are a lot of moving metal parts involved in the operation of your garage door. All of them gradually degrade due to friction. By lubricating these components, our technicians will be able to reduce the stress they are under and promote a more efficient and silent operation. Less wear and tear means less breakdowns; less breakdowns means less money spent repairing problems. In order to make sure your door can open all the way and that it's springs aren't overstraining, we'll conduct a couple of tests. If the mechanism fails these tests, we'll adjust the tension of the springs to ensure the opening and closing of the door stays even. Your garage door opener also needs to be checked periodically, as it has a very crucial role, and if it malfunctions your door will fail to work properly, and may also pose a safety risk. Our technicians will make sure the safety sensors are positioned correctly, and adjust their alignment as needed. We'll also examine the motor and the circuit board for minor damages that could lead to major issues later on. Any problem we discover will be quickly addressed on the spot. Our maintenance experts at Garage Door Repair Burleson will see to it that your system is in the best shape it can be and that all of its different features and parts are fully operational. Call us today to learn more or to schedule a service visit.